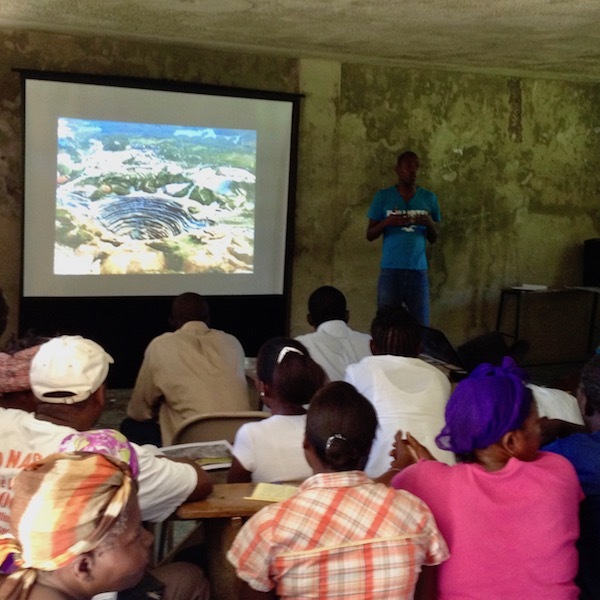 Accountability Counsel, in collaboration with the Global Justice Clinic at NYU School of Law, supported Haitian communities and activists in their efforts to hold the World Bank accountable for its involvement in developing the Haitian mining sector. These communities and organizations filed a complaint in early 2015, which was rejected in a decision that revealed the Bank’s failure to apply any environmental or human rights standards to its work rewriting Haiti’s mining laws. 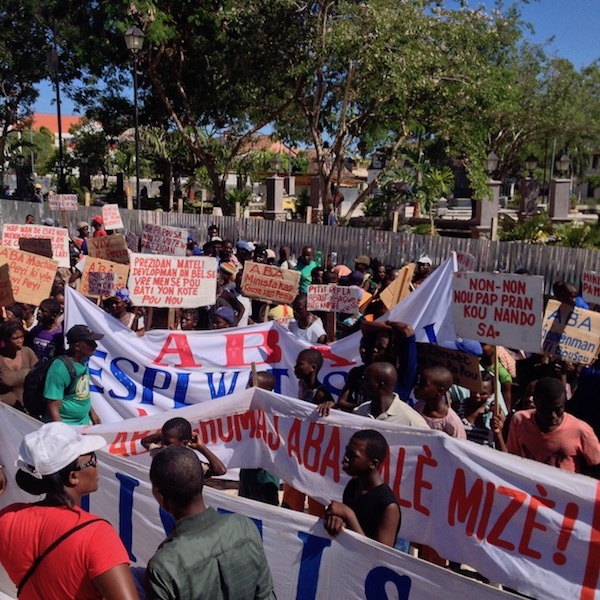 On 9 March, 2015, we rallied 92 organizations and advocates to demand that the World Bank take responsibility in Haiti and to close the loophole that allows it to evade its own safeguard policies. The Bank’s response was woefully inadequate, refusing to take responsibility in Haiti or acknowledge that the safeguards loophole is problematic. The World Bank provided technical assistance to the Haitian government to update the legal and regulatory framework that governs mining activities. However, this legislative process did not include meaningful consultation with affected communities and the draft law that was developed lacked adequate social and environmental protections. Communities also feared that the Haitian government lacked adequate capacity to monitor or regulate the mining industry and the World Bank was doing nothing to increase this capacity. In January 2015, after no parliamentary elections had been held for years, the Haitian parliament was finally forced to dissolve. The 2015 crisis of leadership highlighted concerns that the government would be unable to effectively enforce mining regulations. In addition to World Bank assistance to the Haitian government for mining sector reforms, the International Finance Corporation (IFC), the World Bank’s private investment arm, invested $10.3 million in Canada-based Eurasian Minerals for prospection and exploration activities in Haiti and Turkey. Affected communities in northern Haiti were concerned about the lack of meaningful consultations, as well as other potential social and environmental risks associated with this investment. In 2013, the World Bank provided assistance to the Haitian government for activities related to the development of the mining sector, including the drafting of national mining legislation. Many Haitian communities and civil society organizations were concerned that development of this sector would result in serious negative human rights and environmental impacts. 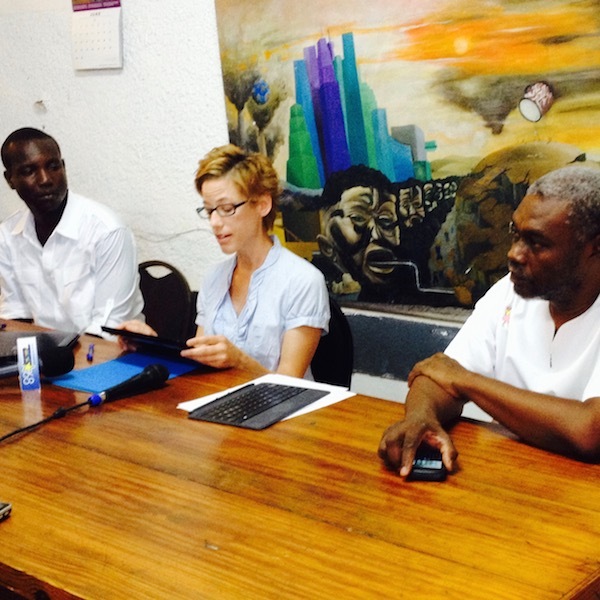 These concerns were partly based on experiences with the nascent gold mining sector in Haiti. Although the sector is still largely undeveloped and no large-scale gold mining operations are currently taking place in Haiti, some communities have already reported negative impacts and rights violations caused by initial prospecting and exploration activities. Companies reportedly drilled and dug holes on community land without telling landowners who they were and why they were there. Even when companies did approach communities about operating on their land, a number of community members reported alarming irregularities, including agreements being signed by unauthorized third parties and attempts to conclude agreements only after the company had worked on the individual’s land. Community members also reported crop damage from mining activities, and companies failed to establish complaint offices or other mechanisms to resolve issues raised by community members. At the time, communities feared that if the mining sector continued to develop, and if companies proceeded with more serious mining activity, these negative environmental and social impacts might become more severe. The draft law was expected to encourage international investment in the mining sector, but many Haitians feared the risks that could come with this inherently dangerous industry, including contamination of vital waterways, impacts on the agriculture sector, and involuntary displacement of communities. They were concerned that the law included some weak or vague provisions that would not adequately protect against these potential harms. Adding to these fears, many people in Haiti were concerned that the Haitian government lacked the capacity to effectively monitor and regulate mining company activities. The bank itself has previously flagged corruption and other concerns with regard to the Haitian government. The government also appeared to lack the human, technical, and financial resources needed to oversee mining activities—especially those, like open pit mining, which come with inherent risks. Haitians who were aware that a new mining law was being developed were frustrated that the public had not had the opportunity to participate in meaningful consultations with decision-makers about the law reform process. Reports indicate that the law had been developed in consultation with private mining companies, yet the draft law had not been circulated publicly and the World Bank and government had made only minimal attempts to inform or consult with parties outside of the private sector. Mining-affected communities and organizations in Haiti wanted an opportunity to participate in and comment on a law reform process that might have had direct and significant impacts for them in the future. Starting in 2013, the Mining Justice Collective and the NYU Global Justice Clinic held dozens of meetings with community-based organizations and communities affected by mining activities to share information and learn about their experiences and concerns. Representatives of the collective and the clinic also met with government officials to attempt to learn more about planned mining sector reforms and opportunities for public participation. Complainants alleged that World Bank assistance with the development of the mining law violates the bank’s social and environmental safeguard policies, fails to protect the environmental and human rights of the Haitian people, violates the Haitian Constitution, and impedes the ability of the Haitian government to meet its human rights obligations under international law. The complaint also claimed that many of the social and environmental standards in the new mining law were too weak and that they failed to live up to the World Bank’s own minimum standards applicable to mining activities. The complaint called for an in-depth, transparent analysis of the Haitian government’s capacity to regulate mining activities and protect the human rights of Haitian communities. It also requested that the new mining law be translated into Haitian Creole, subjected to a serious public consultation process, and revised to include stronger social and environmental protections. After reviewing the complaint, the World Bank Inspection Panel found that it could not register or investigate this complaint. Although the Panel found that the complaint meets its criteria for registration and raises “serious and legitimate” concerns, it found that the World Bank chose to fund its activities in the Haitian mining sector in a way that exempts them from the Bank’s social and environmental safeguards. Since no standards apply to the project, the Inspection Panel had no basis for reviewing the case. The Panel’s Notice of Non-Registration concluded its involvement in this case. The Panel’s decision uncovered a loophole in the World Bank’s policy that gives the Bank discretion to avoid applying its social and environmental standards based on its own funding decisions. We are continuing our work on this issue to close this accountability gap and ensure that the bank’s social and environmental standards apply to all of its operations. Global Justice Clinic, Center for Human Rights and Global Justice, NYU School of Law: A legal clinic dedicated to bringing human rights law to bear on situations of global injustice. The Kolektif Jistis Min (Mining Justice Collective): A coalition of six Haitian organizations and dozens of communities with a common mission to: share information about mining and human rights with Haitian communities; support communities as they organize to define and promote their collective interests; and advocate at the local, national and international levels for the economic, social, political and cultural rights of Haitian communities. The organizations involved in the Collective have a combined membership of over 50,000 Haitians. Accountability Counsel received a letter from the World Bank responding to the concerns raised by 92 organizations in a letter from 9 March 2015. The response failed to take responsibility for the bank’s actions in Haiti or recommend any future action by the bank. It was provided in English only, despite the fact that our demands were sent from more than 90 organizations in English, French and Spanish, from a geographically diverse group of organizations and activists. Ninety-two organizations from around the world, led by the Haiti Mining Justice Collective, the NYU Global Justice Clinic, and Accountability Counsel, submitted a letter to the president of the World Bank demanding that the bank take responsibility for its actions in Haiti. The letter demanded a moratorium on mining in Haiti and a halt to any activities to develop the sector until a meaningful national dialogue on mining in Haiti is held and other community demands are met. The letter also called on the bank to close all policy loopholes and ensure that its safeguards apply to all bank activities. The World Bank Inspection Panel issued a decision rejecting the complaint based on a highly technical finding that the Bank’s social and environmental standards do not apply to the bank’s activities in the Haitian mining sector. The decision was later made available in French. Communities in Haiti and the Kolektif Jistis Min (Mining Justice Collective) filed a complaint to hold the World Bank accountable for its role in developing the Haitian mining sector. 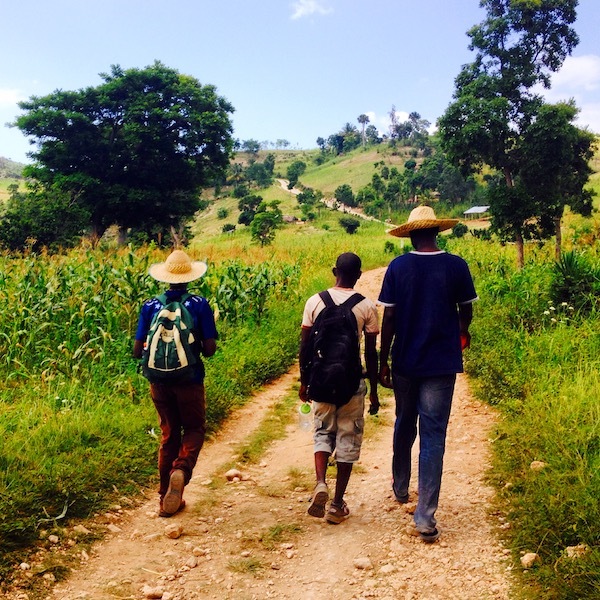 Accountability Counsel and the NYU Global Justice Clinic provided support to the Haitian communities and organizations involved. The complaint is available in English and French. The World Bank sent a response letter to the collective and the Global Justice Clinic, explaining the bank’s role in activities to develop the Haitian mining sector but failing to address many of the complainants’ concerns (also available in French). The collective and the Global Justice Clinic sent a letter to World Bank management, expressing their concerns with the World Bank’s involvement in developing the Haitian mining sector (also available in Creole). It requested that the bank take action to ensure that the people of Haiti are meaningfully consulted and provided an opportunity to comment on the law reform process. Accountability Counsel also accompanied the collective and the clinic to a meeting with World Bank representatives to discuss these issues. The World Bank provided a short project brief describing its role in the Haitian mining sector. Accountability Counsel’s work on this case exposed a critical loophole in World Bank lending policies. The Bank used a “bank-executed trust fund” to finance the activities around the mining law change, which exempted mining – one of the most harmful industrial activities in the world – from policies designed to prevent harm. This case demonstrated that how the World Bank finances development activities matters. Our Global Communities team transferred this cased to our Policy team so we could continue to advocate on behalf of the community. Accountability Counsel continues to push for the World Bank to close this loophole and ensure that industries that have proven over and over to be harmful are held to high standards of social and environmental protection. Read more about our advocacy at the World Bank.